At the end of Spring, the mutable winds of Gemini are scattering the seeds of Nature in all directions. This stirs the senses of Taurus! This mix of expansive Gemini with the femininely-charged substances of Taurus activates the two “polarized sides” within the bicameral mind! With this mental activity, all sentient beings can analyze the content in their surroundings–and begin the act of understanding the world outside themselves. With Taurus‘ development of the sense of sound, many creatures began the act of communicating simple ideas by creating various tones in their voices. In time, these words became the language, that gave humanity an ability to describe and communicate a complex range of concepts. With this communication, out relationship with our environment is clarified. This completes Spring’s lessons of Self Discovery. When one’s emotional relationship with the environment is clarified, he or she is ready to enter a new season and quadrant of lessons. It begins when the Sun enters the season of Summer, and the Sun enters the next sign in the Zodiac Cancer. This month of Gemini’s seasonal dance gives us time to hone our thinking abilities and develop the language, that will help us to communicate with our siblings and neighbors. Few of us (notably, those laconic Taurus friends we visited last month) have such a gift for gab. Such individuals need to seek the assistance of a friend with a Gemini Sun. With their inductive skills, these Mercury messengers can help you assemble the array of thoughts that you will need, to accomplish any creative task. Furthermore, they can help you communicate your ideas to others, so that they can assist you in the creation of your work. These mental lessons function wonderfully, when we learn to do “the dance of the seasons” with the other Air Signs: Libra and Aquarius. Gemini rules the lung–the part of the body that supplies essential oxygen to activate all functions of the body and mind. These lungs also provide the breath that enables the Taurus-ruled vocal cords to create the sounds, words and language that allowed us all to communicate the complex ideas in our head. 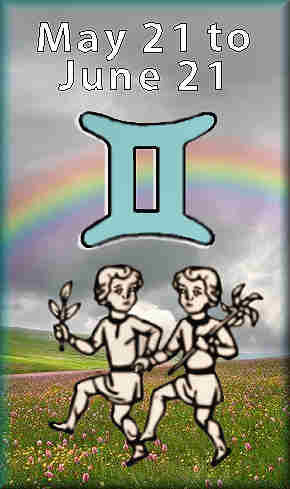 Gemini’s rulership also extends to the arms, hands and fingers. These upper extremities are the gift that allows us to manipulate the contents of our surroundings. It also explains why Geminis “talk with their hands”. In the mercuric air of the Gemini Sun, one is free to roam and explore nearby places. As they skitter across the open fields, their whirling arms becomes the propelling force that drives Geminis forward. 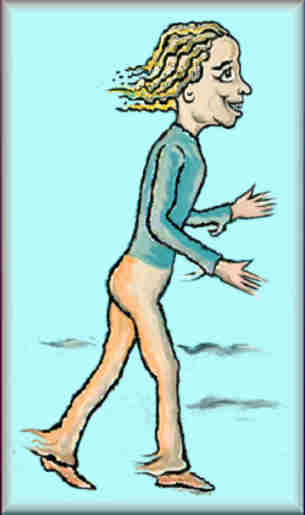 Naturally, their feet trail behind in the wind–and they never seem to touch the ground. Mercury is the ruling planet of Gemini. Here, Mercury’s masculine expression gives us the inductive reasoning that assembles particular cases into larger general conclusions. The feminine form of Mercury is seen in its’ co-ruled sign of Virgo. There we see the opposite action of deductive logic: The process that makes general thoughts more specific. 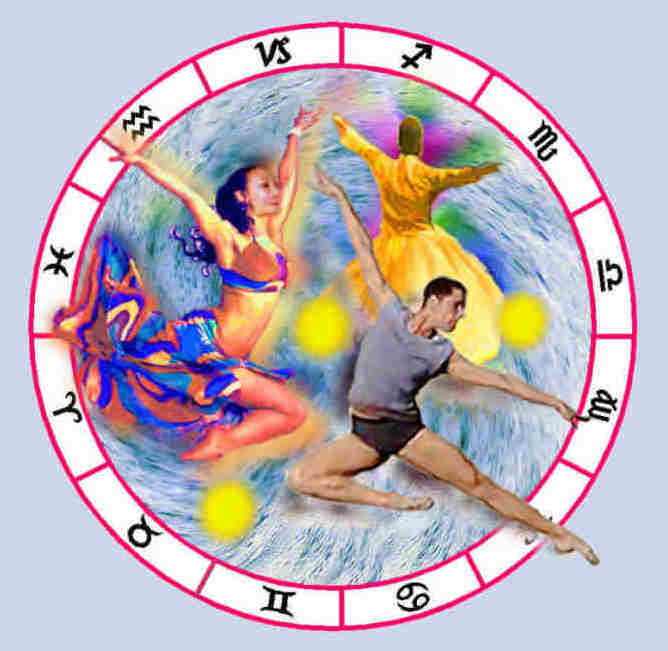 The whirling winds at the end of spring bring the mutable air of Gemini. This twisting patterns can be seen in the physical appearance of most Gemini Suns. The most obvious trait is the rectangular cheekbone and jaw structure. Note how it protrudes forward from the upper half of the face. (This is clearly illustrated in the photos of Jolie and Portman). This mandible structure, the brows, eyes and nose are also noticeably twisted by the mutable forces—as the dueling energies duplicate many of the features and lines in the face! The folds above the eyes suggest two eyelids, which accounts for their habit of “double blinking”. Also, the molding in the cheeks give hints of a double jaw and the bulges above and below the mouth suggest two sets of lips, instead of one. In these “two faces”, we can see the Gemini twins! With these first three Gemini Sun sign celebrities, the mutable force runs strong, since they also have other mutable components in their charts. With Dana Carvey, as we saw it in his role in Wayne’s World, the mind-game reality of his electrical expressions reigned, as the twin sides of his personality generated their array of contradicting positions. Dana’s Virgo Ascendant brings the mercuric gestures to the front and, as we have seen in his Church Lady character, it also adds a touch of fussiness to his persona. Natalie Portman’s Moon is in the Mercury-ruled sign of Virgo. This Moon forms a T-square with her Mars and Neptune. Furthermore, her Mercury conjoins Venus. These Mercury aspects make her the true student of this group. She was the valedictorian in her high school class who was voted “most likely to be on Jeopardy”. Furthermore, she can carry on a conversation in six languages, and her movie star career was interrupted to earn an advanced degree from Harvard. The solar energies of Nicole Kidman are intensified by the mutable fire of her Sagittarius Moon. This doubling of expansive, mutable energy brings an electric spark to her darting eyes, as it animates her hands and fingers. Like Portman, she has a Scorpio Ascendant, which adds a noticeable aura of seductiveness to her persona. Our last two subjects seem “more directed”, since cardinal components reign in the charts. Anderson Cooper, like Angelina, also has a cardinal Ascendant and an Aries Moon. However, Cooper appears less emotional since his Ascendant is in Cardinal Air, not Water. This Libra Ascendant disarms the abrasive qualities of his fiery Moon and it gives him a charming and pleasant persona. As the winds of Gemini scatter the seeds of new conceptions across the Earth, they help us to clarify our personal relationship with our surroundings. With the end of Spring, this season’s dance comes to an end. Soon, the cardinal water of Cancer will carry us into a new season—and a new quadrant and dimension of learning. There, the three lessons of Summer will give our thoughts direction and emotional meaning, as they help us to discover ways to enhance (Leo) and perfect (Virgo) the environment that surrounds us. On the other side of Gemini on the Zodiac Wheel is Sagittarius. There, our personal lessons are taught to others. This dispersion of universal wisdom (through higher education) will create boundless opportunities in the years to come.